The Finance Ministry of Japan have unveiled (22nd February) the first series of Olympic coinage which is scheduled for release later in 2018. 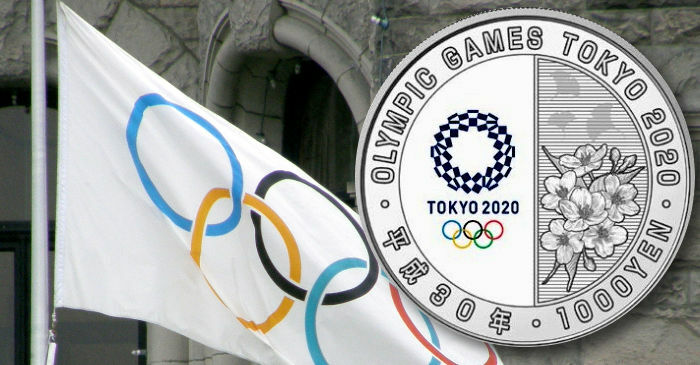 The first coins in the series comprise a gold design, two silver designs, and two base metal designs — all highlighting the various sports which will feature during the Games of the XXXII Olympiad — commonly known as “Tokyo 2020.” In total, the Ministry of Finance intends to issue 30 coins by 2020, which will be arranged across a similar issue programme. The city of Tokyo was awarded the Summer Olympic Games of 2020 during the 125th conference of the International Olympic Committee, which took place in Buenos Aires on the 7th September 2013. The XXXII Olympiad will be the second time that the city of Tokyo hosts the Summer Games (the first time was in 1964 for the XVIII Olympiad). The coins are produced by the Mint of Japan, on behalf of the Ministry of Finance, with five coins included in the first series: One gold coin and two silver coins, the latter of which have one dedicated each to the Olympics and Paralympics. Two additional coins struck in cupro-nickel are also included, with one coin’s design highlighting the Olympic games and the second to the Paralympics — which will follow the Olympic Games with their opening ceremony set to be held on the 25th August 2020. 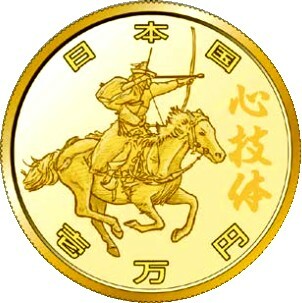 10,000-yen gold: The obverse design features Yabusame, or horseback archery, arranged with kanji characters 心 技 体 (Shin-gi-tai), meaning “spirit, technique, and physical strength.” This is an expression familiar to Japanese people which symbolises the philosophy of sport. 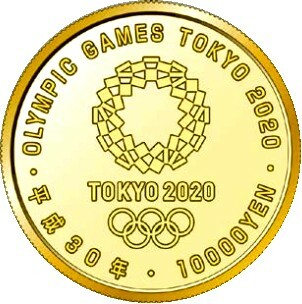 The reverse of the gold coin includes the official emblem of the Olympic Games Tokyo 2020 along with the inscription in English. The regnal year, 30, of Emperor Heisei is also included and the denomination of 10000YEN is seen below the logo. 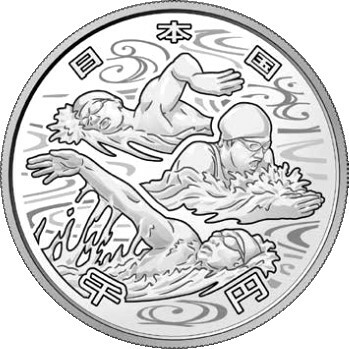 1000-yen silver (coin one Olympics): The obverse design features three athletes competing in aquatics, arranged with the traditional Japanese pattern, “Ryusui,” expressing the flow of water. 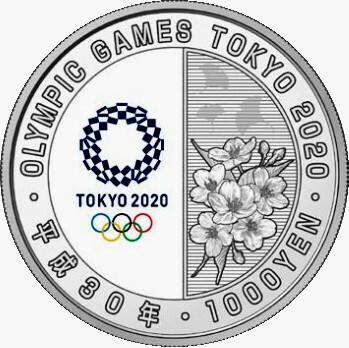 The reverse design features a colour application of the official emblem of the Olympic Games Tokyo 2020, together with cherry blossoms and ginkgo leaves, which are designated as the prefectural flower and the prefectural tree of Tokyo, respectively. The coin’s design is arranged in a half side concept with the logo seen on the left and the cherry blossoms on the right. The text OLYMPIC GAMES TOKYO 2020 is included in English. The regnal year, 30, of Emperor Heisei is also included and the denomination of 1000YEN is seen below the logo. 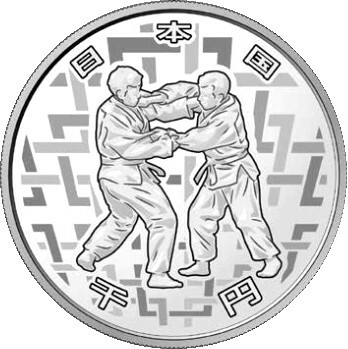 1000-yen silver (coin two Paralympics): The design features two competitors in the sport of judo, arranged with traditional Japanese pattern “Kaku-tsunagi” combining squares. The reverse design features a colour application of the official emblem of the Paralympic Games Tokyo 2020, together with cherry blossoms and ginkgo leaves, which are designated as the prefectural flower and the prefectural tree of Tokyo, respectively. 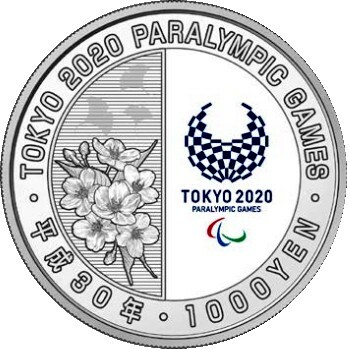 The coin’s design is arranged in a half side concept with the cherry blossoms on the left and the Paralympic logo on the right. The text TOKYO 2020 PARALYMPIC GAMES is included in English. The regnal year, 30, of Emperor Heisei is also included and the denomination of 1000YEN is seen below the logo. 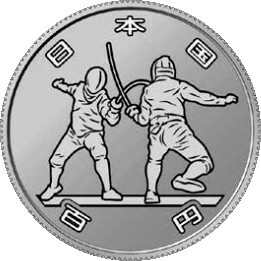 100-yen cupro-nickel (coin one Olympics): The design features two athletes competing in the art of the fencing. 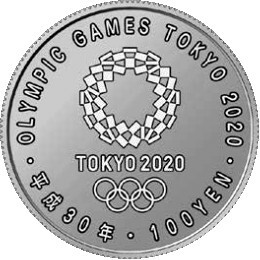 The reverse side includes the official emblem of the Olympic Games Tokyo 2020 centred along with the inscription in English. The regnal year, 30, of Emperor Heisei is also included and the denomination of 100YEN is seen below the logo. 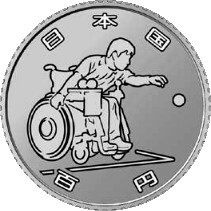 100-yen cupro-nickel (coin two Paralympics): The design features a seated paralympic athlete competing in the game of Boccia. 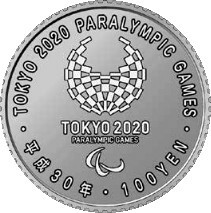 The reverse side includes the official emblem of the Paralympic Games Tokyo 2020 centred along with the inscription in English. The regnal year, 30, of Emperor Heisei is also included and the denomination of 100YEN is seen below the logo. The first series is expected to have significant interest with collectors as the remaining coins issued after April 2019 will include the first regnal year and inscription for the emperor’s eldest son, Crown Prince Naruhito, who is expected to succeed to the Japanese throne after his father’s abdication on the 30th April 2019. For additional information on these and other coins issued by the Japanese Ministry of Finance, please visit the website of the Mint of Japan. How to order the gold coins for Olympic 2020? ?